The God-fearing son of a prominent Bristol Conservative, Ernie Lane migrated to Brisbane as a teenager. There, he underwent a metamorphosis, emerging as a communist firebrand on the eve of the turbulent 1890s. Over the next 60 years his politics led him into plots for armed insurrection, executive positions within the Australian Labor Party, founding roles in three socialist groups, membership of a communist commune in Paraguay, and involvement in a string of strikes and political battles, most notably the WWI campaigns against conscription. As industrial writer for Brisbane’s Daily Standard, Lane ran foul of editors, censors and Labor politicians but won an army of admirers for his uncompromising articles, penned under the name Jack Cade. He and his wife Mabel became doyens of Australian radical politics, their home in Highgate Hill a haven for rebels of all shades of red. A ‘dangerous extremist’ in the eyes of the authorities, Lane was fêted as a warrior for freedom and equality by generations of supporters. 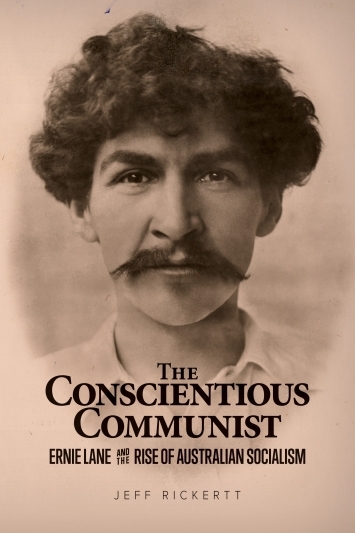 Lively, provocative and packed with remarkable incidents and personalities, The Conscientious Communist rediscovers the fascinating true story of one man’s passionate political life and the socialist movement he helped to create in Australia.